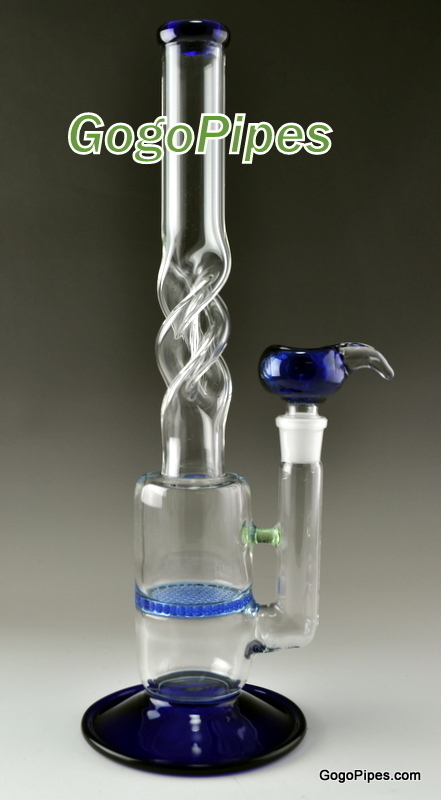 The honeycomb glass tornado pipes are about 14 Inches tall. These water pipes have one honeycomb percolator. This pipe can be converted to male setting. You can use 18.8mm or 19mm converter. Pros: Thick glass and great sized bowl. This thing rips but the perc makes it so smooth you barely cough. You can also see the tornado effect. Cons: Hole on bowl is kinda big definitely get a screen. Pros: Super fast shipping and product was great for the price. Hits super smooth. Pros: The honeycomb works really well. Hits super smooth. Fill it up a wys above the honeycomb and you cant even tell you are hitting it sometimes. Comments: I got an ashcatcher with this and I would recommend doing the same. If you cant afford a 90 degree ash catcher you can still get a 45. Mine is 45 and is actually quite convenient when i tilt the bowl towards my liter hand. Pros: Rips hard. Nice big bowl. Surprisingly easy to clean. Pros: The pull is amazing. The water adds no extra drag with the amazing honey comb perk. Perfect size, perfect pull. Cons: The bowl. I'm a person that likes personal hits. This bowl has the circumference of a quarter. Also, I can fit my thumb knuckle deep! Pros: The honeycomb is one of the best percs. It bubbles like crazy and creates no drag. The twist is really cool and serves to further cool the smoke and be ice pinches. Very sturdy, I already dropped the bowl and hit the bong against the sink... And it looks brand new ! Cons: Remember the top has a 1 inch diameter, so you can't fit much ice at all. 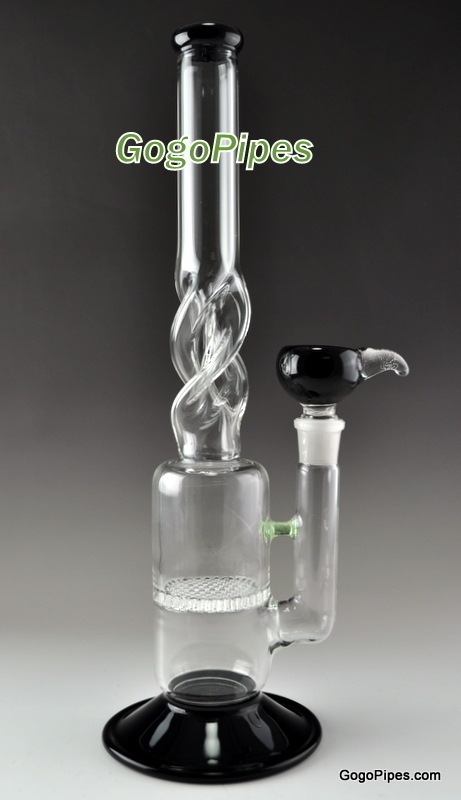 If you hit it too hard, the bubbles can travel all the way up the twist so go easy. The bowl is the reason it's not 5 stars. The bowl is super crooked. I can't even corner the bowl because of how it is shaped. And the hole is giant so get screens. I recommend having another bowl ready. Comments: Great bong for the price !